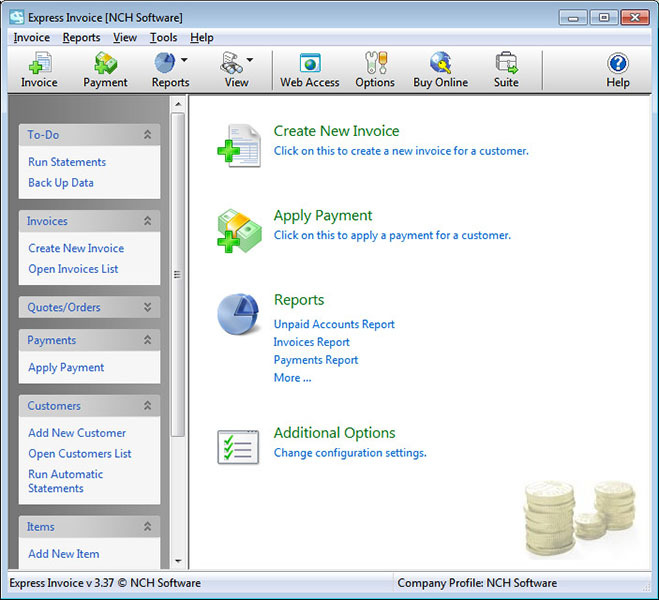 Express Invoice Plus is a invoicing software for Windows. Manage client accounts, quotes, orders, billing, invoicing applying payments and much more. Make your business excel with an online console so multiple users can create invoices, reports and apply billing payments from their web browser. Create your own template by selecting different format settings, like color, layout, text style and much more. If you want to take the work out of it, select from one of our many pre-designed templates. Set up recurring invoices for ongoing services and link to credit card to easily process payments. Express Invoice also includes a number of standard reports such as unpaid accounts, payments, sales person, accounting and billing reports. Feel at ease by securely accessing your invoice software through your mobile device and allow multiple users to connect. With Express Invoice Professional you can create the perfect invoices that will impress! 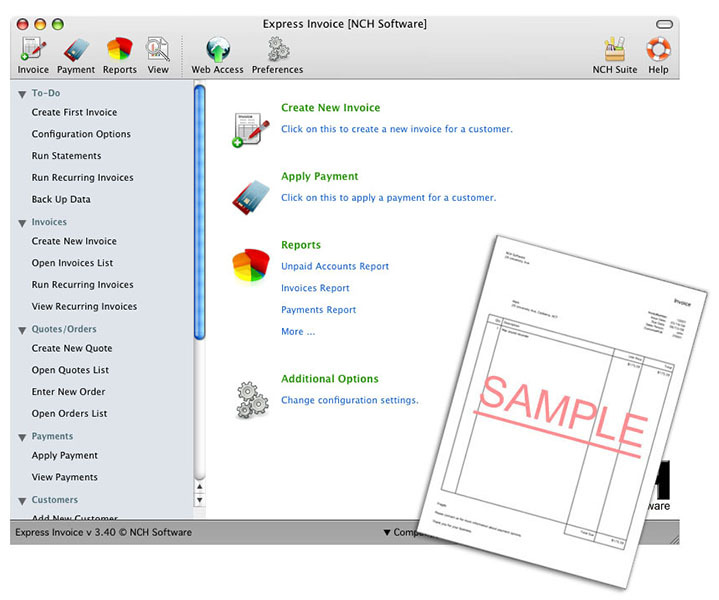 Express Invoice Plus is a invoicing software for Mac. Manage client accounts, quotes, orders, billing, invoicing applying payments and much more. Make your business excel with an online console so multiple users can create invoices, reports and apply billing payments from their web browser. Create your own template by selecting different format settings, like color, layout, text style and much more. If you want to take the work out of it, select from one of our many pre-designed templates. Set up recurring invoices for ongoing services and link to credit card to easily process payments. Express Invoice also includes a number of standard reports such as unpaid accounts, payments, sales person, accounting and billing reports. Feel at ease by securely accessing your invoice software through your mobile device and allow multiple users to connect. With Express Invoice Professional you can create the perfect invoices that will impress!